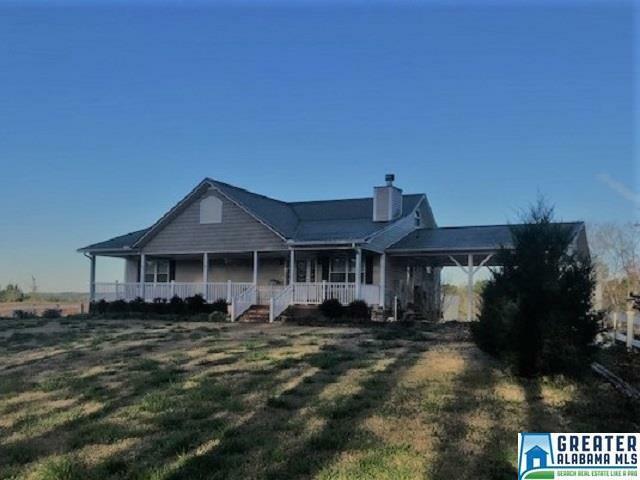 3 Bedroom, 2.5 Bath 2 Story Home with Barn, 6± Acres, Close to Lake Wedowee Move-in Ready Home close to New Harmony Boat Ramp & RL Harris Dam is in the quiet, restricted Eagle Hills neighborhood and in a very private setting. Kitchen is very spacious with beautiful custom cabinets, kitchen island, stainless steel appliances & built in oven. Stove is propane gas. Large laundry room has cabinets for storage & sink. Family room has stacked stone fireplace/gas logs. Master suite is on main level with double vanities, huge walk-in closet & very nice walk-in tiled shower. Flooring consists of hardwood, carpet, & tile. Upstairs is 2 additional bedrooms & 1 bath. Powder Room is also on the main level. Underground power, county water, & transfer switch for generator backup. 50 x 80 barn with 40 x 50 concrete floor has so much to offer – workshop, tool & toy storage, boat storage, man cave – lots of potential. House is very well maintained and ready for next family to enjoy & love.